At long last, Negril has a shopping mall to equal the ones found in Mo Bay or Ocho Rios. 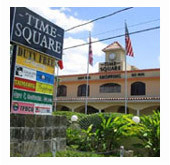 It's the Time Square Mall, lying on Norman Manley Boulevard across from the nightclub Bourbon Beach. More than five duty-free shops and souvenir stores await you, including a courtyard cafe. Read more. Voted the Sexiest Beach Bar in Jamaica, The 3rd Sexiest Beach Bar in the Caribbean and the 12th Sexiest Beach Bar in the World. 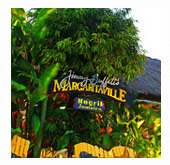 Hot on the heels of Margaritaville Montego Bay, Margaritaville Negril opened in December 1996 along Negril’s world famous 7-mile stretch of white sand beach. Read more. 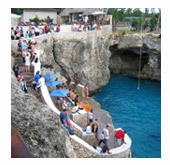 Rick's Cafe was the first public bar and restaurant of its type on the West End Cliffs, offering an alternative to Negril's majestic seven mile beach. Over the years, visitors and locals alike have designated Rick's Cafe as Negril's premier gathering spot and our sunsets have become a Jamaican tradition. Read more. Tucked in a Valley between two mountains is Appleton Estate. Take a guided tour through the fermenting and distilling processes that turns sugar cane into rum, sugar, and molasses. At the end of the tour, you will get to taste all the different brands of rum and get to take home a complimentary bottle of rum. Read more. 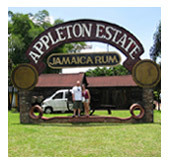 This attractions is located about 1 1/2 hours from Negril. It is a day tour and is often combined with guided tour or Black River. Although not as popular as Dunn's River Falls, YS it is one of the most spectacular waterfalls in Jamaica and set in a pristine environment on the unspoilt South coast of Jamaica. Read more. 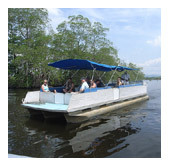 This tour takes travelers up the Black River, much of the water comes from the runoff from the peat bogs. The black sediment colors the bottom of the river, giving it the name. The water on the lower stretch is also brackish, about 15 percent salt water that comes in and mixes with the fresh water during high tide. Read more. The Royal Palm Reserve is one of Jamaica's main Eco-tourism attractions. It's a beautiful and tranquil forest within the Negril Great Morass. You can enjoy nature walks, picnics, fishing, and bird watching. 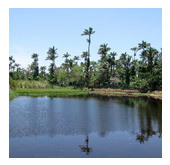 You'll get a chance to see many wildlife which resides in the thick and dense mangroves. Read more. 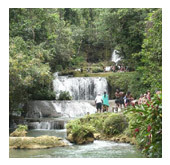 Mayfield Falls is one of Jamaica’s many waterfalls which cascades down though one of its many mountains. Originating out of the Dolphin Head mountains Mayfield falls is a wealth of Mother Nature. Situated in Glenbrook Westmoreland. 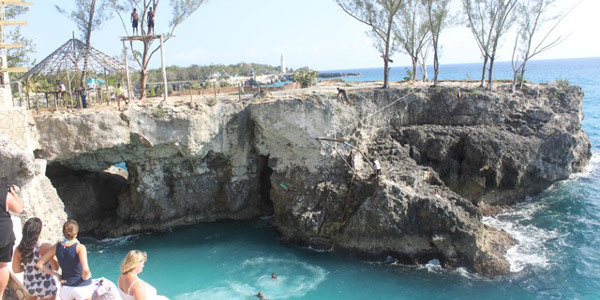 Mayfield falls is only a 1-hour drive from Negril and 1½- hours from Montego Bay. Read more. 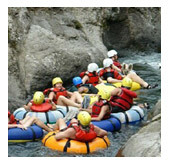 If you are looking for an excellent adventure ride, and a cool new experience you can choose to take part in a Tubing Safari. This is an area where you will be able to go down the river in a tube and swing from ropes and relax in the fabulous water. Read more.